Recently honored as a 2018 Orlando Business Journal “Women to Watch” honoree, selected as one of the 2018-2019 University of Central Florida’s College of Sciences Distinguished Alumni award recipients, chosen as the UCF Nicolson School of Communication and Media’s newest Hall of Fame inaugural inductee, and featured as one of the region’s “Women in Business” by i4 Business magazine, Gloria LeQuang has spent her career focused on advancing the local, national and global competitive advantage of the companies and organizations where she has worked. With more than 20 years of experience in marketing and economic development – including project management and sector marketing initiatives for advanced technologies and digital media; foreign direct investment; diplomatic relations; export counseling; tradeshow and event planning; market research; and project qualification – LeQuang’s diverse background has positioned her to take the lead as the Director of Marketing and Community Relations for BRIDG, a not-for-profit, public-private partnership for advanced sensors, photonics and advanced nanoscale systems located at NeoCity in Osceola County, Fla.
Before joining BRIDG, LeQuang worked for the Metro Orlando Economic Development Commission (now Orlando Economic Partnership) in varying roles, most recently as the Director of Strategic Project Management responsible for projects and initiatives advancing organizational and regional competitive advantage. This included the management of legislative priorities and task forces focused on military defense and advanced technologies initiatives. LeQuang’s past experiences also include coordinating marketing and new business development initiatives at CHEP, a leading global provider of pallet and container pooling services, and public relations internships at AAA headquarters in Lake Mary, Fla. and at Pinecastle Records/American Bluegrass Network, a bluegrass record label and syndicated radio show. LeQuang has served on several advisory boards and committees over the years, including those for MicheLee Puppets, Team Orlando (military collaborative alliance of leaders in the modeling and simulation, human performance, and training domains), Orange County Government (Florida Simulation Summit), Orlando Science Center, Orange County Regional History Center, and Visit Orlando. 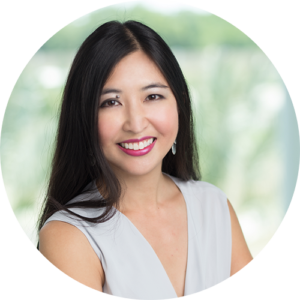 LeQuang received her bachelor’s degree in advertising and public relations from the University of Central Florida. She is also certified as an export trade specialist from the Thunderbird School of Global Management.